Faiveley Transport has been awarded a contract for more than $100 million to supply systems for SNCF’s new generation double-deck trains in Paris. Awarded by Alstom and Bombardier Transportation, the deal covers the first 71 trainsets as part of a framework contract for up to 255 trains, which were ordered from the consortium by SNCF earlier this year. Faiveley Transport, a subsidiary of USA-headquartered Wabtec Corporation, will provide complete braking systems, door systems, heating, ventilation and air conditioning systems, pantographs and tachometer systems. The contract covers the study, design, engineering, manufacture and delivery of the rail systems. Looking for a new job in the UK rail industry? Click here to start your journey. Delivery is expected to begin by September 2018 and be complete by 2022. The trains will eventually run on lines D and E of the Greater Paris network. 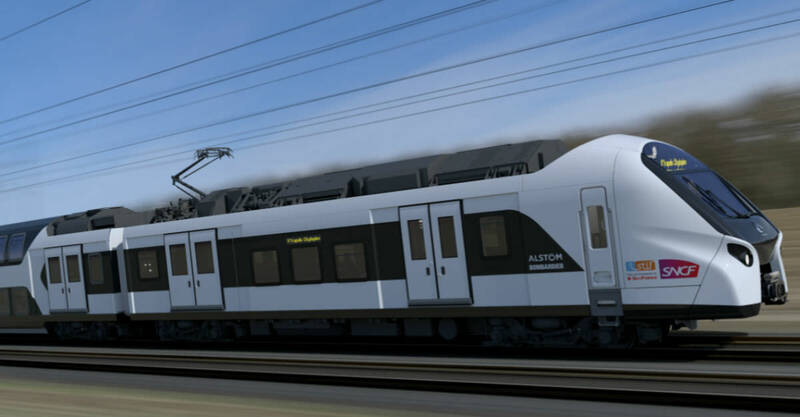 Wabtec CEO Raymond Betler said: “This represents a great success for Wabtec and Faiveley Transport, with all of our major product lines represented on-board the new trains. This contract will modernise the existing rolling stock, which is on average more than 30 years old.